There are a lot of things involved with setting up a wedding. You find a venue, book wedding entertainment, and order a cake. However, there is a new trend. Rather than getting a three or four-tiered cake, brides and grooms are choosing other wedding desserts. The alternatives may be just what you need in order to have a memorable wedding. Plus, there are plenty of songs for weddings that you can cut something other than a cake to. 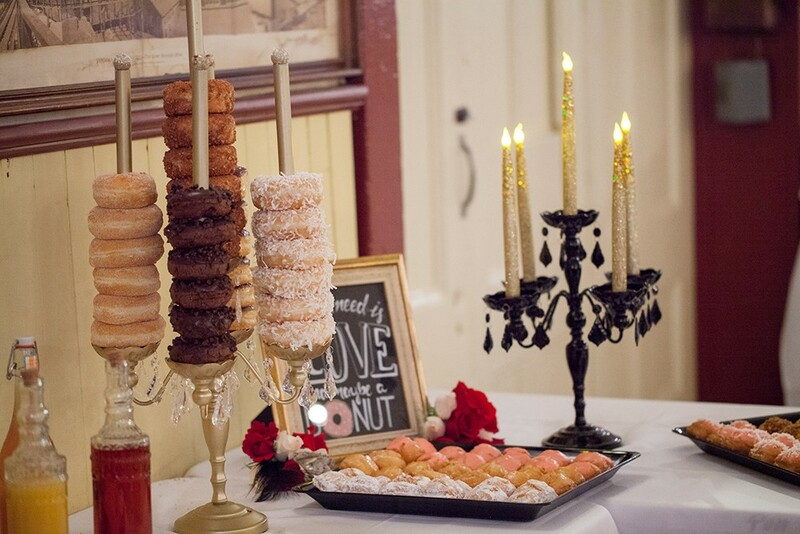 Here are some ideas for our top 10 wedding deserts that doesn’t involve a huge cake. When you think about it, cupcakes are simply a smaller version of cakes. You can save a significant amount of money because you don’t have to worry about all of the fancy fondant work. The added benefit is that you don’t have to spend extra per person by paying the catering staff to cut the cake for all of your guests. You may then be able to use that money in other areas of your wedding budget, such as getting a Melbourne wedding band. Donuts come in all sorts of flavours. One of the most popular options is creating a board with pace. You can place several flavours on the board and invite everyone to grab a doughnut when it comes time for dessert. If you and your partner can’t decide on a flavour, this might be the best option. You can incorporate all of your favourite flavours and let people decide what they want. Cake pops are gaining popularity, too. These allow you to have cake, but there also extremely stylish. Your wedding baker can incorporate the colours of your wedding into the pops. You can then choose to have them topped with glitter, sprinkles, or even have your monogram stamped on them for a personalised touch. If you want something a little fruitier, pies are a great option. They are considered to be the sister of cakes and there are plenty of flavour options. It’s ideal for a rustic wedding, such as if you have a wedding set up at a barn or vineyard with a Sydney wedding band playing music in the background. Belgian waffles can be topped with all sorts of phenomenal things, ranging from Nutella to whipped cream. There is no reason why you can’t serve these at your wedding, too. These French cookies are taking over the world. It is a Parisian treat that has become extremely popular. The flavours know no bounds, too. You can find a baker that will customize the flavours and colours for your wedding. We’re not talking about opening countless wrappers. What we are suggesting is that you work with a baker who can create a decadent treat that looks a lot like a pop tart. Blonde and chocolate brownies alike can be an amazing treat at a wedding. They can be cut to any size, too. Want to go with something extra special? Have the brownies cut into a monogram. Let wedding guests take control by setting up a sundae bar. You can have soft serve ice cream in a machine that allows them to choose vanilla, chocolate, or swirl. They can then add all of the toppings that you have out. The candy trend hasn’t gone anywhere, either. Set out a table filled with Skittles, M&Ms, bubble-gum, and all sorts of other favourite snacks. You may want to colour coordinate them with the colours of your wedding, too. Fat bags or boxes for people to fill so that they can take them home as a wedding favour. You should always be looking at the ways to get the wedding that you want. From the wedding singers to the desert, you should never compromise. With a wedding singer Sydney weddings can be livelier. Plus, when you give people an incredible dessert, you are guaranteed to have a memorable event.